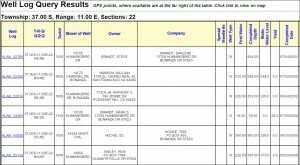 We are often asked by people who are interested in purchasing property how deep the wells are in the area. This is a very difficult question to answer. 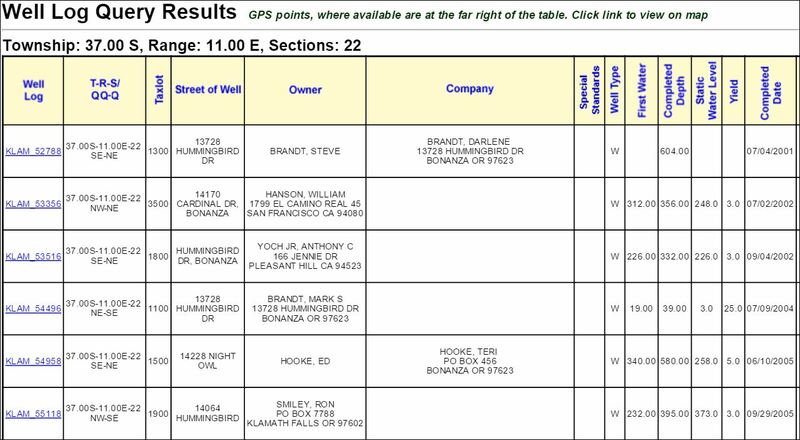 We have spent some time looking through the Klamath County well logs for property in the area and we’ve seen that wells can range from around 200 feet to over 1,000 feet deep. 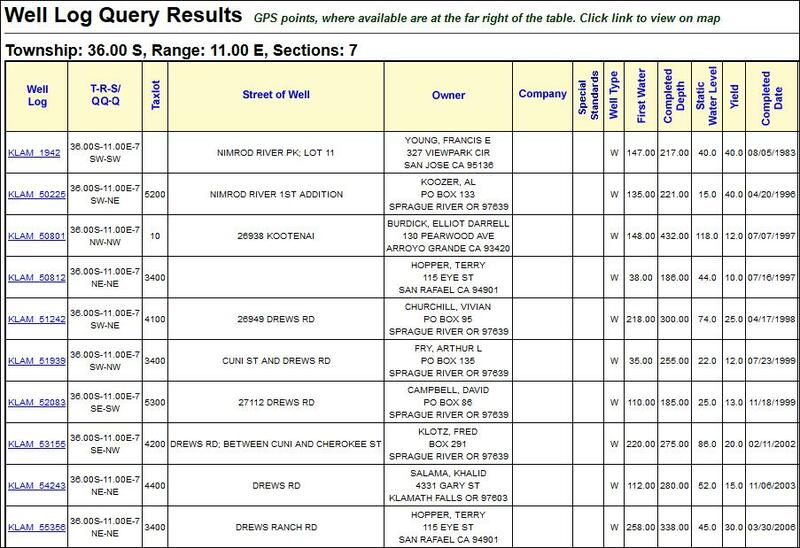 You would think that the lots at lower elevations “should” require shallower wells but drilling a well isn’t an exact science. 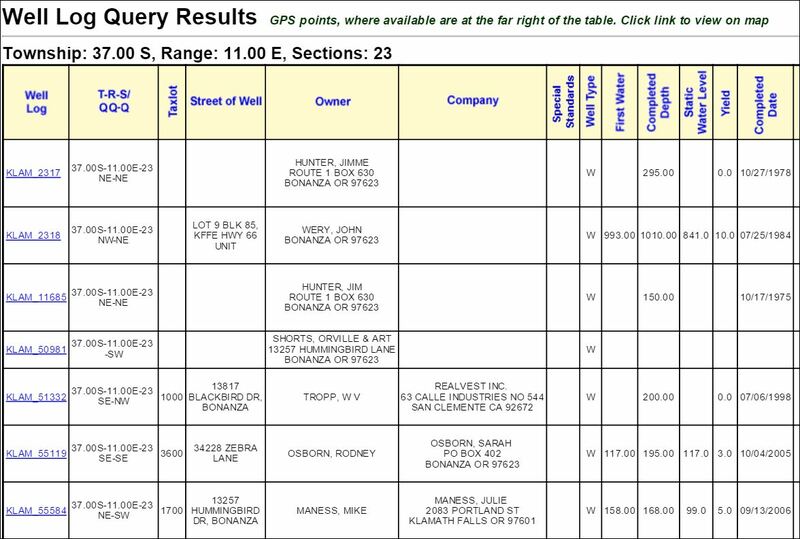 As a matter of fact, in the area where our properties are highest in elevation, the well logs show that well depths can vary dramatically. 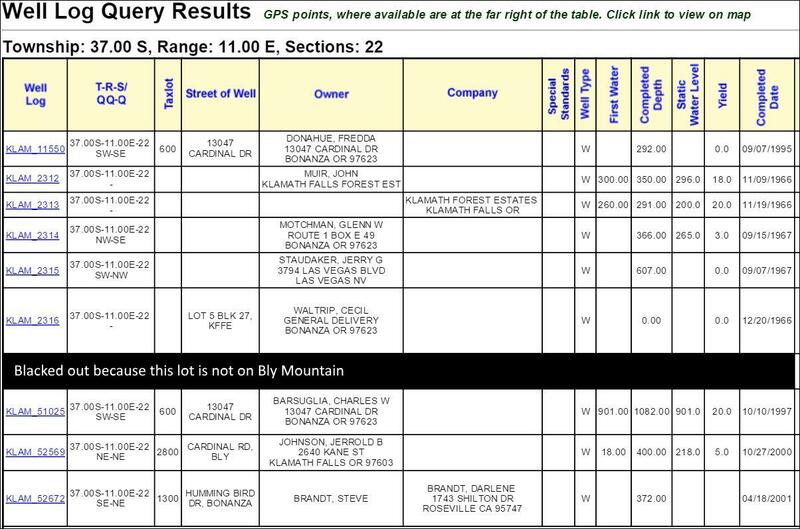 Below are a few screenshots of the well logs for a small area in Klamath Falls Forest Estates on Bly Mountain. This is one of the areas that is higher in elevation. 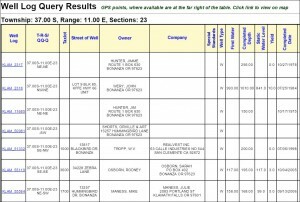 Keep in mind that this is just a small sample of well logs to show you that the depths of completed wells can vary quite a bit. Just because a lot is higher in elevation doesn’t mean that you will have to drill deeper but it’s important to understand that it could. 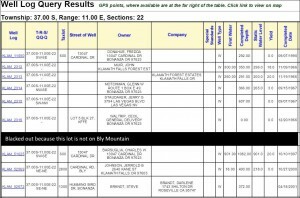 Please click on the images to make them large enough to read. 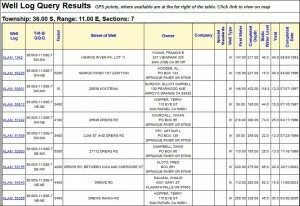 Here’s an example of a well log report for the Nimrod River Park area. 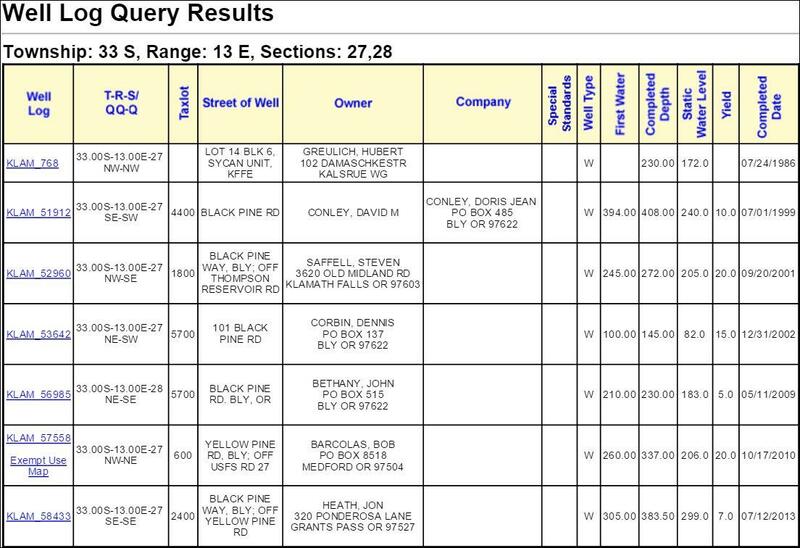 Here’s an example of a well log report for the Sycan Unit which is just north of Beatty, Oregon. 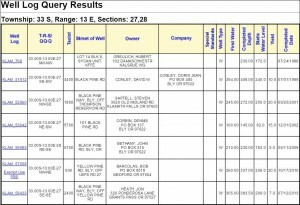 If you would like to do your own research about the depths of wells that have been drilled in Klamath County, you can do that by clicking here: Oregon Water Resources Department Well Log Query. 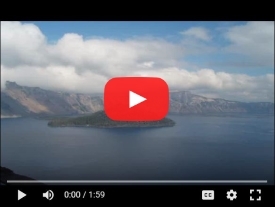 As always, feel free to give us a call to learn all about how you can build you home or cabin on undeveloped land!